Mountain Caribou are the largest of all of the species of caribou and the Mountain Caribou within our area are amongst the largest in the world. They are large in both body size and horn size. 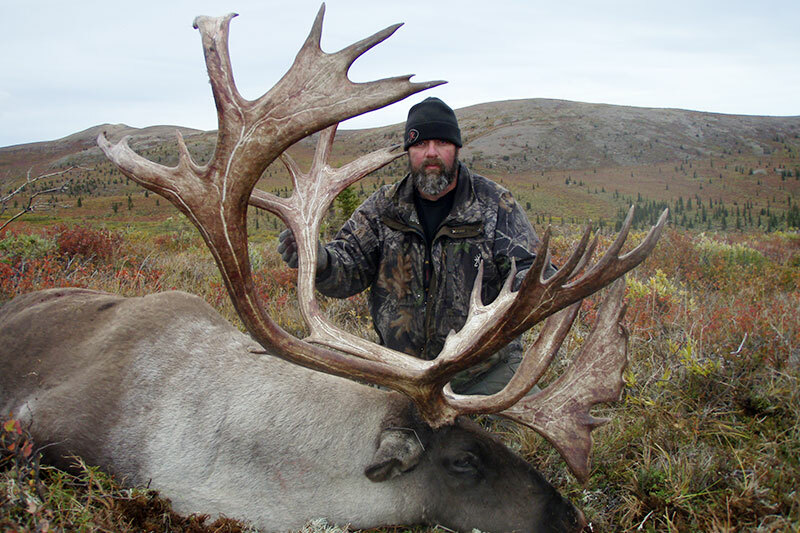 A big bull in our area can weigh as much as 700 pounds and are significantly larger than Barren Ground Caribou. 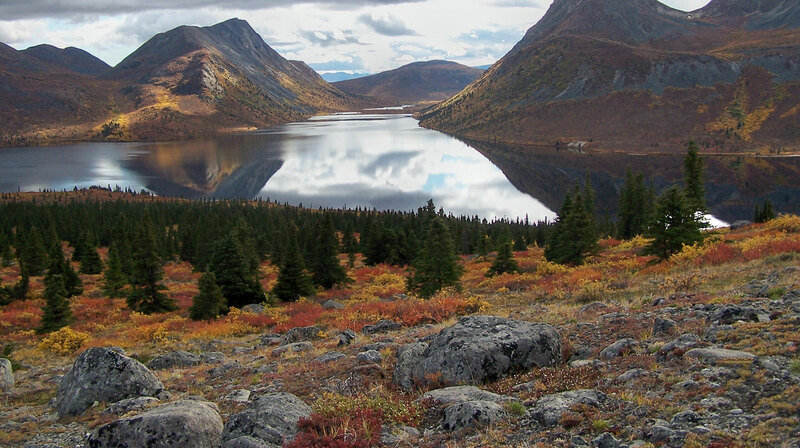 This area consistently produces some of the best Mountain Caribou in the world which includes a 453 B & C bull which was recognized as the world's largest mountain caribou at the time and a 440 7/8 B & C which was the number 10. Each year we always seem to harvest some bulls which often score well over 400 B&C and often as high as 420 B&C. Even our average bulls regularly have a B&C score of close to 390 which easily makes the Boone and Crockett minimum score of 360 for their awards book. We have two separate herds of mountain caribou, the Aishihik Caribou herd and the Klaza Caribou herd and the population of both of these herds are stable or increasing. 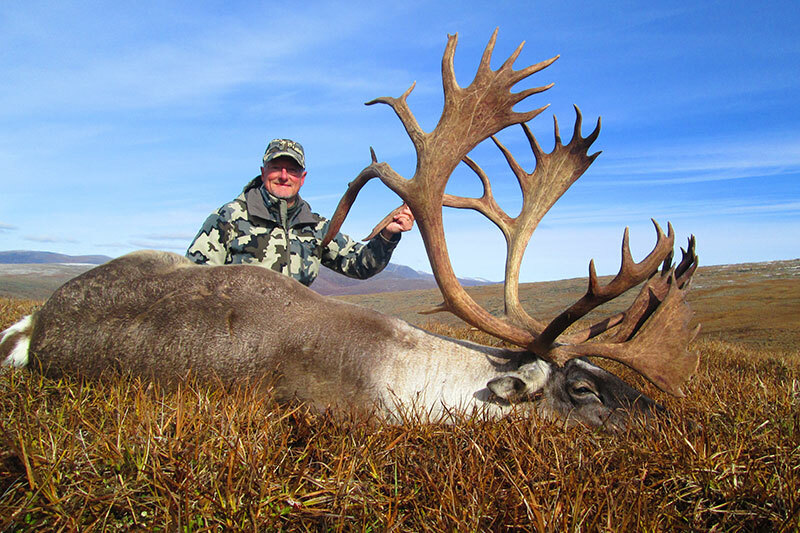 Having the flexibility of two herds allows us to hunt caribou in a variety of terrain and in a variety of situations. The bulls start to peel the velvet off of their antlers any time after August 20 th and have lost their velvet by the end of August or early September. Our caribou hunts normally occur in later August or throughout September when the bulls are the bulls are “hard horned”. In August the cows are often in bunches of up to 50 caribou but the bulls tend to be solitary or in small groups of 2 or 3 bulls. The caribou may be found anywhere from below timberline to the tops of the mountains. On hot days they may be in the willows but they are often they are seen standing on glacier like snow patches to cool off and avoid the bugs. Although these Mountain Caribou do not migrate like Barren Ground caribou do, they do gather or move around within their range. As August turns to September and the rut, which occurs in the second half of September and early October approaches, the fighting between bulls increases. The bull caribou start to travel looking for cows and may be found either with a herd of cows, travelling between herds or looking for single cows between herds. 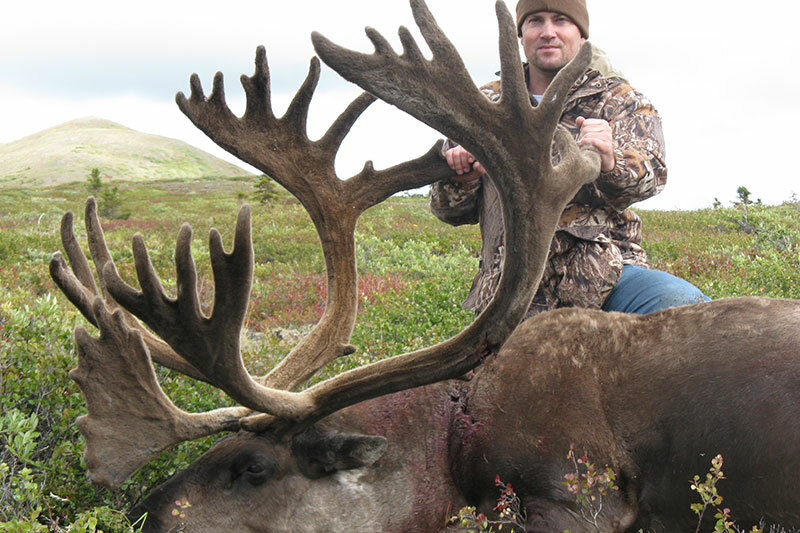 Caribou hunts are very successful and are horseback hunts which can include a reasonable amount of riding. Hunting tends to be above or close to timberline and it is usually a spot and stalk. Horses permit the hunter to easily access the country and assist in the recovery of the meat and trophy. The hunters are normally based out of a cabin but they may spike out with horses and tents depending on conditions and circumstances. 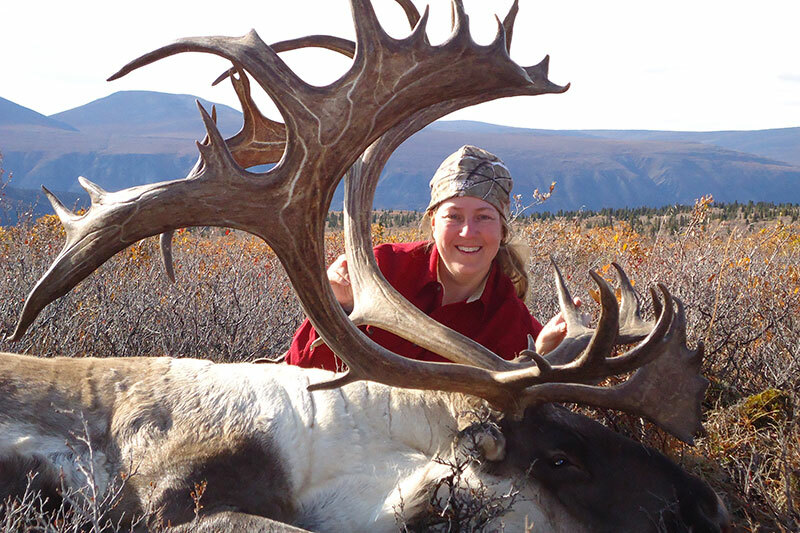 The hunts are enjoyable hunts that allow the hunter to see some beautiful country and experience the joys of travelling and hunting in the Yukon.